USNursingHomeLawyers.com - Nursing Home Abuse Lawyers fighting for those abused or neglected in nursing homes throughout the U.S. Welcome to our nationwide nursing home lawyer directory. The lawyers listed here represent victims of nursing home neglect and abuse. All of the attorneys listed here have extensive experience with a proven track record of successful verdicts and settlements in nursing home abuse and neglect lawsuits. All of the lawyers in our network represent clients (nursing home abuse victims and their families) on a contingency fee basis. That means that if they don’t get a monetary recovery for you, you do not owe them a fee! 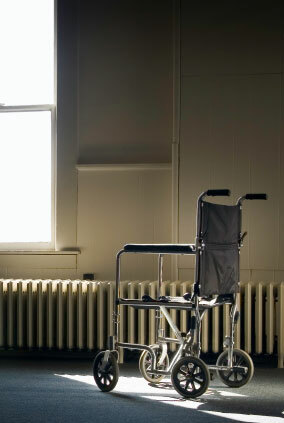 Our nursing home attorneys offer you a free evaluation of your potential claim. Important evidence can go stale or be lost without immediate action on the part of the victim or someone acting on their behalf. Don’t delay. It costs nothing to find out about your rights. Unfortunately, despite these governmental agencies, over one million nursing home residents are abused in some manner each year. Such actions can include negligence (such as dropping or inadequate staffing leading to dehydration) and active abuse (including sexual abuse against defenseless elderly victims). Whether the abuse consists of recurrent negligence or a single incident which causes injury, the victim has a right to damages. In many cases, the nursing home in question can lose its certification for failing to supply the expected care leading to a loss of federal funding. Nursing home abuse can include physical damage from falls, malnutrition or dehydration, bed sores, gangrene, aspiration pneumonia, over-sedation, poor medical care, or wrong medication. Just as damaging but more subtle, are lack of supervision, theft, abandonment, effective equipment, sexual assault, coercion, physical or mental abuse. All of these can lead to injury or death of the nursing home patient. A U.S. Nursing Home Lawyer can help sort through all of the paperwork and provide victims with information regarding the practical and legal aspects of nursing home law and claims of abuse or negligence. Sending a loved one to a nursing home is hard enough. You shouldn't have to worry about their safety. Sadly, you do. Many times our loved ones are left to defend themselves against neglect, malice, or worse. Often, when you try to intervene in cases like this, your challenged at every step along the way. A U.S. Nursing Home Lawyer can help sort through all of the paperwork and provide victims with information regarding the practical and legal aspects.